Stay in touch with your mobile app users through push notifications, location detections, iBeacons and more. Mobile marketing technology is one of the most engaging methods of marketing. Broadly, mobile marketing is marketing to users on mobile devices - this can include SMS messaging but some of the newer methods with push notifications, iBeacons and more. 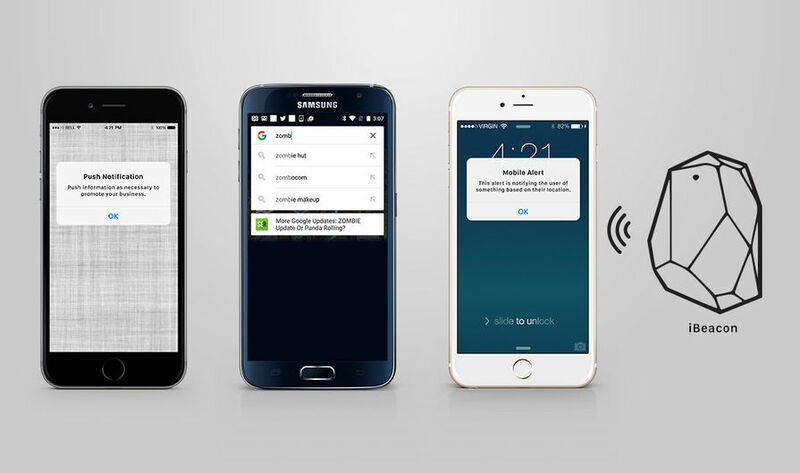 Push Notifications: When users download your iOS or Android mobile apps, there is an opportunity for them to stay in touch with you through push notifications. Push notifications feel like SMS messaging but are sent through the app and not through a mobile cell provider. All apps should have push notifications enabled and you should be able to communicate with your users through a web service to send them notifications. iBeacons: In-door proximity sensors can help you track which of your customers are entering your stores, how they travel through your store and where they spend their most time in the store. Using iBeacons can be a smart way to send tailored coupons to customers or keep track of your employees attendance at your facility. Mobile-friendly: Making your web site mobile friendly can help you benefit from Google's mobile-friendly ranking algorithm. We have the experience converting your web site to a mobile friendly format that Google trusts, from responsive designs to m-dot solutions, we can help you. Mobile marketing is a huge topic, RustyBrick can help on many levels, call us today to learn more.